I noticed on my twitter feed about a PowerTip from powershell.com that showed you how to retrieve the weather information from a given web service. This is a pretty cool 3 lines of code that used the New-WebServiceProxy cmdlet that connects to the web service allows you to create a proxy object to manage the web service. A Web service is an XML-based program that exchanges data over a network, particularly over the Internet. 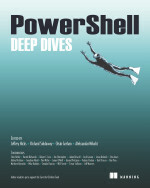 Here is the code example that was provided from powershell.com’s power tips section. 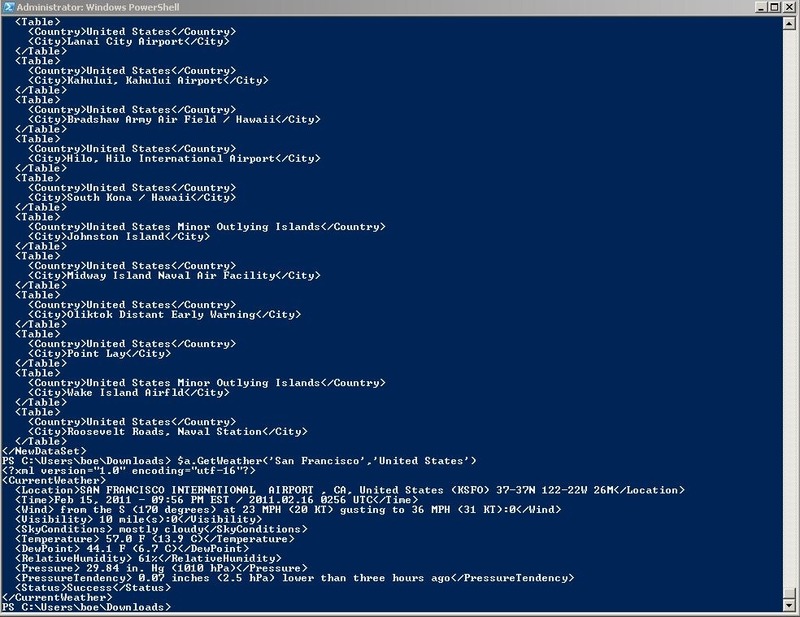 The GetCitiesByCountry() method will list all of the possible cities available to query in a given county. In this case, all of the cities in the United States was listed. The GetWeather() method requires a string value for City and Country and returns the weather information. Now, the format returned is a string format that displays the xml content and isn’t the most presentable format. This is easily resolved by using [xml], which is an accelerator for the System.Xml.XmlDocument class to convert it into a more user friendly format. But just adding the [xml] type at the beginning of the code will not do anything. Ok, so now that we have it converted into an xml object, we just need to view the CurrentWeather property. Now that’s more like it. You can now easily view all of the weather information for a given city without trying to sift through all of the xml syntax. Of course I couldn’t resist making this into an Advanced Function to call whenever I needed to. I called it Get-Weather and with this function, you have two possible ways of using it. You can use Get-Weather –Country “United States” –ListCities to list all of the available cities in the United States or any other respective country. To get the weather information, you use Get-Weather –Country “United States” –City “Omaha” and with that, you will get the weather information for the city of Omaha, Nebraska. The link http://www.webservicex.net/ws/default.aspx contains many other services besides the weather. I would encourage you to check these out and have fun making your own different functions or code snippets that use these other services and share them with others. Display weather data for a specific country and city. Display weather data for a specific country and city. There is a possibility for this to fail if the web service being used is unavailable. URL of the website to test access to. Returns all of the available cities that are available to retrieve weather information from. Get-Weather -Country "United States" -City "San Francisco"
Write-Verbose "Create web proxy connection to weather service"
Write-Verbose "Listing cities in country: $($country)"
Write-Verbose "Getting weather for Country: $($country), City $($city)"
Write-Verbose "End function, performing clean-up"
This entry was posted in powershell, scripts and tagged Powershell, weather, web service. Bookmark the permalink.